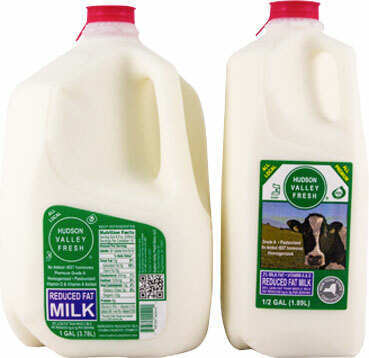 Our premium milk comes from Hudson Valley farms that exceed all standards for excellence in milk quality. 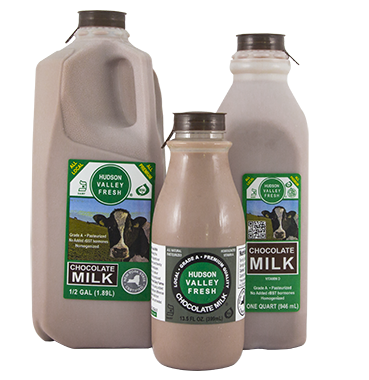 Among our 10 family-owned and operated herds are some that have placed in the top six in the United States time and time again and exceed industry standards for quality, protein, butterfat, and vitamin and omega 3 content, all naturally and without supplements. 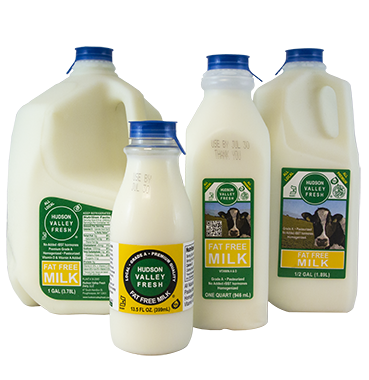 Hudson Valley Fresh processes our milk products in Kingston, New York, and deliver from farm to store in 3 days, and our quality means we don’t have to ultra-pasteurize. 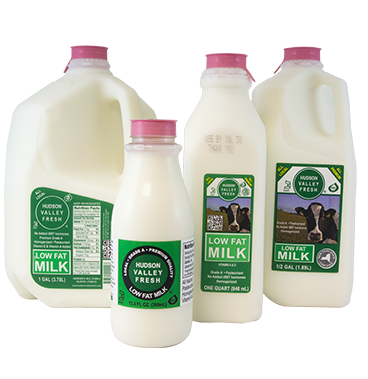 It’s the freshest, best tasting milk you can buy in any store. 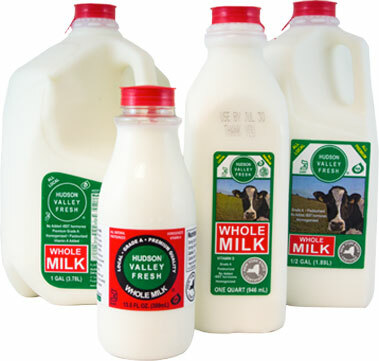 Our whole milk? Non-standardized and +4% butterfat, just as the cows produced it. Taste the fresh, all-natural difference today!